If you've been a charged with violating the terms and conditions of your probation, it doesn't necessarily mean you have to go to jail or prison to serve out your sentence. You have a right to a hearing at which a good attorney will call into question whether any violations have actually occurred. 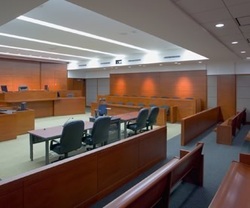 This can take the form of cross examination of the probation officer, and of argument on your behalf before the judge. Even if violations have occurred, a knowledgeable and skilled attorney will be able to suggest alternative solutions to the court, instead of revocation. These may include drug treatment, drug court, Home Incarceration, C.C.C. with releases, referral to 7 Counties for mental health evaluation and treatment, increased restrictions on probation, and others. A good attorney will be able to explain to the judge what has been going on in your life and eloquently articulate why you deserve another chance. In addition, such cases can sometimes be worked out 'behind the scenes, through an agreement with the prosecutor and probation officer. Having an attorney on your side to represent your interests, you'll be in the best position to avoid being revoked from probation.